Peonies in Bloom! It must be May or June! I love May and June because my favorite flower is in bloom. 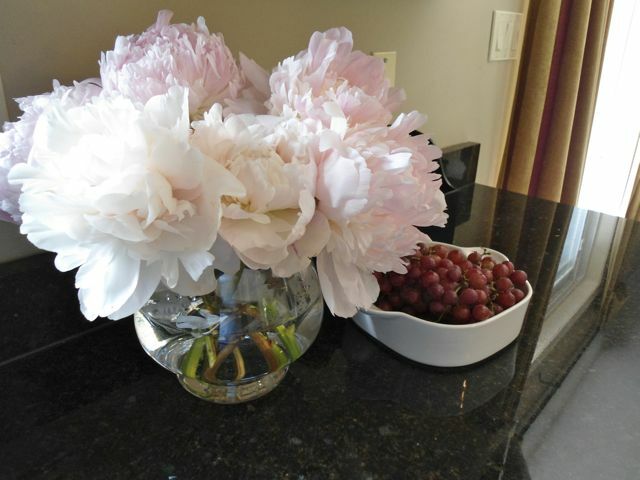 I was so excited when I walked into the grocery store this morning and found bunches of peonies everywhere! I made this beautiful bouquet for the kitchen from two small bunches. So little the work, so big the reward!